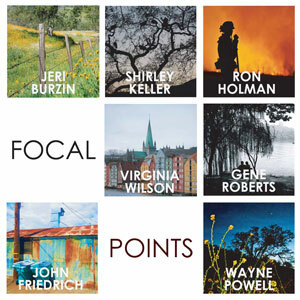 Focal Points is an exhibition featuring photographic works by several different artists from throughout Tulare County including Jeri Burzin, John Friedrich, Ron Holman, Shirley Keller, Wayne Powell, Gene Roberts and Virginia Wilson. Several images by each of the exhibiting artists will reflect the unique perspectives each takes in framing their observations through the camera lens. Focal Points will be on display at Arts Visalia from Wednesday, July 5 through Friday, July 27 with an opening reception to be held Friday, July 6th from 6:00 to 8:00pm. Admission is free and open to the public.